I started at the school in 1944, shortly after the Allied invasion of German-occupied France. 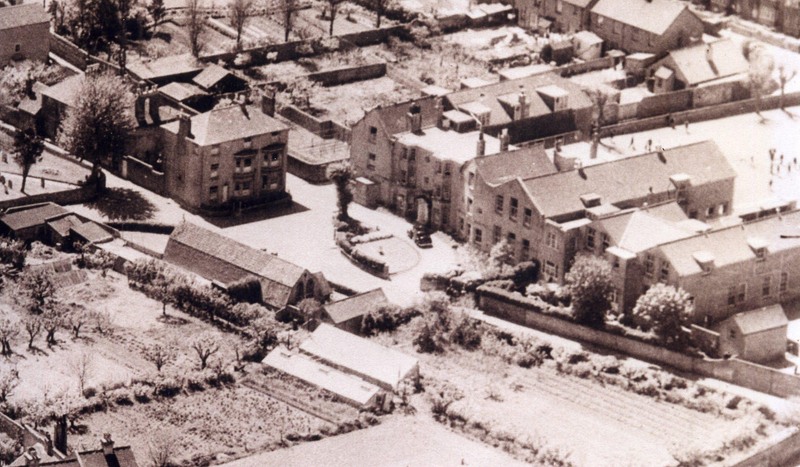 The school buildings were centred in Pond Road, and covered the whole block, that is to say, the area of the present community centre, citizens’ advice bureau and car park. The school had its own chapel, with pews, choir stall and organ, on the opposite side of Pond Road, about where the grass mound in front of the health centre is now. The large house facing you as you look south down Pond Road is called Westover, and provided residential accommodation for single masters and a room for piano tuition. There was also a miniature rifle range used by the school’s Army Cadet Company in St Mary’s Road; I don’t know if the school owned it. You can still see one wall of the range, along the side of the footpath that runs from St Mary’s Road to Western Road behind the health centre. I nearly forgot to mention the bicycle shed in Middle Street, which also has one wall remaining. The sports field and gymnasium were about half a mile away in Connaught Avenue, on an L-shaped 20-acre site now covered by the Greenacres estate. (How curious that the developers named it thus when they were extinguishing twenty green acres.) The gymnasium was a splendid building on two floors. Upstairs was an excellent hall where concerts could be held. Further into the sports field was a pavilion with changing rooms and a water tap, much appreciated after a game of football. During my first two years at the school there was just a day school at Shoreham; the boarding part of the school had been evacuated to Milland House near Liphook in Hampshire. The National Fire Service and the Army had requisitioned parts of the main building during the war, so the location of classes was subject to various changes as the buildings were derequisitioned. The main buildings were roughly E-shaped. Looking from across Pond Road, the right hand (north) block housed the staff common room and four classrooms on the ground floor. In my time these were Lower IV, Middle IV B, Middle IV A and Upper IV. Upstairs were the Art Room, toilets and an old disused dormitory, a sort of elephants’ graveyard for old pianos and furniture. Moving left, were the Second and Third forms which formed a route through to the main entrance hall. Stairs led up to the Headmaster’s Office. Under the stairs was a cupboard, where items of stationery were on sale at certain times of day. I had to wait two years to penetrate further south, when the middle part of the E-shape was re-opened to become the Upper and Lower Fifth forms (a garage for fire engines during the war), staff and boarder’s dining rooms etc. The left hand or south wing had the kitchens, with dormitories above, and fronting on to Pond Road was the Headmaster’s house, which I believe was the oldest part of the building. Behind the school was a large tarmac’d playground. Some wooden buildings stood in the playground. One housed the first form and music room. Another held the science lab. A lean-to attachment to this held the tuck shop, where sweets and soft drinks were on sale by “Ma” Chitty, whose husband “Pop” Chitty was the school caretaker. There was also a fives court, though it was only used for small-scale football and cricket, both played with a tennis ball. One wall of the fives court was the side of the toilet building. In the south part of the playground was an underground air raid shelter. I don’t recall an air raid at Shoreham at that period, the Luftwaffe were too busy in France to bomb England much by then. The Headmaster was Kenneth W. Barrell, nicknamed Claude. His name did not suit him. He was lean and rangy, with a dry sense of humour. My encounters with him were frequently at the wrong end of his cane. This instrument of correction was an important part of the school’s method of education. Any master could send a boy to be caned, and this provided the essential sanction to enable the staff to control the boys. The cane was a flexible bamboo stalk that could be bent round into a circle. The flexibility gave it additional acceleration in flight to achieve optimum impact. It hurt like hell, but it was a point of honour not to show this. On one occasion he caned seventy boys for breaking in to the gymnasium when it was empty but still officially occupied by the Army. I was one of the seventy and had already been caned that morning for a separate offence. When I reached the head of the queue he said, “you’ve had yours already today” and gestured me to go! The junior Maths teacher was Mrs. D. Barrell, the headmaster’s wife, known to the boys as Dora. She introduced me to Algebra, explaining that 3a+2b could not be reduced to 5 anything, as it was like 3 apples plus 2 oranges. I unhelpfully said that that added up to 5 fruit! The Headmaster’s house, having been requisitioned, was not available to the Barrells, who lived in Ravens Road on the other side of the railway line. The other female teacher was Miss Brady, who taught the First Form, if I remember correctly, every subject. My only encounters with her were at the stationery cupboard, where she doled out pencils, rubbers, etc. Mr R J Bennett was the master in charge of the Second Form, and also taught PT. 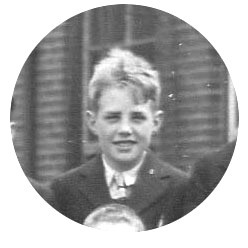 The Third Form master was Mr. D E Evans (“Taffy”) who was also Geography Master. I believe he left to become High Master of Manchester Grammar School. The Form Master of the Lower Fourth was Mr. Owen D Marsh FRCO, who taught singing and ran the school choir. For one year we had a Royal Academician as an art master. I forget his name; he had an RAF-type moustache and carried a squash racket, with which he threatened unruly pupils! After my year in the Lower Fourth there was a major upheaval. The Fire Service and Army vacated the building and the premises were restored to their former use. The boarders returned from Milland House, complete with a full complement of Staff. Mr. and Mrs. Barrell left and Emil A Bruder became Headmaster, taking up residence in the integral Headmaster’s House in the Pond Road complex. I was now in Middle iv A, and being taught by a different group of Masters, Mr. P J McLoughlin, Maths, Mr. J. J. McConagley, Physics, Mr. N E Lewis, Geography, Mr. Badman, History and French, Mr. C N (Paddy) Gray, Art, and Mr. Brailsford, PT. Mr. Brailsford was an army PTI sergeant who had recently been de-mobbed. . When I was in Lower V he introduced a game called Hurley-Ball. This was played with two teams, a football and two posts. Each team attacked the post defended by the other team; goals were scored when the ball struck a post. There were NO RULES! (Perhaps the use of weapons was not allowed, but boxing wrestling etc., were quite acceptable.) We thought this was a wonderful game, but after a term Mr. Bruder banned it due to complaints from the Upper V. We were most disappointed and called the Upper V various uncomplimentary names. I’m not sure if Mr. J L Wright BA taught me English that year. He certainly did later. There were also H L Wills, Mr George, who wore a ginger coloured jacket, and Mr O’Rourke. I was never taught by Mr. Wills but often chatted to him. I understood him to have been the oldest inhabitant (in terms of membership) of the school, having been educated at Shoreham, gone straight into the Army in WW1, rising to be a Captain, then returning to the school as a teacher. Mr. Wills ran the Scout Troop and organised the annual sports day. I never met Mr. George, and only knew Mr O’Rourke through the Cadet Company, of which he was Lieutenant under (Captain) E A Bruder, the CO. Later we were joined by Monsieur J C Moinat for French tuition. M. Moinat was a Swiss, so I often wonder if my French has a Swiss accent! Prior to the arrival of the Reverend F R D Kennedy MA there was succession of Chaplains who only stayed a short time. We boys put this down to the bad time we gave divinity teachers, and it says a great deal for Mr. Kennedy that although the boys treated him no better than his predecessors, he stuck it out and kept his association with the school till the end of his days. No description of a school could be complete without reference to the methods for discipline, so sadly lacking today. I’ve already referred to Kenneth Barrell’s whippy bamboo canes, which I sampled on about six occasions. Emil Bruder’s choice of implement for corporal punishment was very different, and in appearance closer to a quarterstaff! He was very sparing in its use, which was generally during assembly. I suppose he felt that public chastisement of a few obtained better results than private correction of many. I never experienced his cane; although older, I behaved no better during his reign than under that of Kenneth Barrell. One master sent me to him to be punished for frequent failure to do homework. All I got was some fatherly advice! 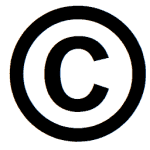 Mr Wills and others have described the Red List and its system of graded mathematical punishments, tables, squares, cubes and square roots of four-figure numbers. In my early days at the school I frequently felt bitter when my three squares took me all of Saturday morning to get right, while worse-behaved boys churned out nine or twelve squares in an hour and went off to play. Contemporaries will remember that about 1947, the cubes and squares, etc., were discontinued in favour of 40-minute periods of detention, a fairer system, since the naughty boys had to serve their full sentences, regardless of arithmetical fluency. What few of them will know is that this was due to me! Being somewhat slapdash I found arithmetic difficult; however, I always had an enquiring mind, and I would play around with sums and explore their properties. Whilst doing this I noticed that 52= 42+4+5 so I tried again with the next number, 62=52+5+6. It worked for every number I tried, and I quickly realised this was an easier way of doing squares, once you had the first one right (the masters never checked your workings, just asked you to read out your answers, which they compared to those in their book). Had I progressed a little further in algebra I’d have realised that this was just another way of expressing the identity (x+1) 2 = x2 +2x+1. After that I finished my detention as quickly as anyone. I shared my new knowledge with a few close friends, and no doubt they passed it on to others. I think it was in the Middle fourth that we graduated to doing cubes, and I was back to square one, or almost; I could take a short cut to square the number. By now I understood the theory of my method for squaring; could it be applied to cubes? YES! The identity (x+1)3 = x3+3x2+3x+1 allowed me to do cubes without long multiplication! Again I passed the information around and soon many lads were escaping detention early. Eventually this came to the attention of the staff, and the new method was instituted of awarding punishment by periods. Now the tables were turned, and the badly behaved boys who previously used facility in arithmetic to escape detention early found that unless they mended their ways they would never be free of detention. The change took place just in time so that I never had to do the dreaded square roots to six decimal places! For me to be writing anything about sports is a bit like Osama Bin Laden giving a talk on forgiveness; in six years at Shoreham my aggregate sporting achievements totalled one run, three wickets and one goal. You could hardly say bowling was my forte, more a pianissimo! None of the above of course was achieved in representative matches. In mitigation, I will say that my eyesight was rather defective, one longsighted and one shortsighted eye meant that I had no real 3D vision until I first wore glasses, after leaving school. Being usually one of the youngest in whatever class I happened to be in also meant I was physically less developed than my contemporaries. When I was fourteen, an under fifteen 440 yards race was added to the sports day events, and I put up the best time in the heats. The prize was a dynamo lighting set for a bicycle. I was convinced that fame and a prize were heading my way. The starter’s pistol fired, and about twenty boys shot forward. Somebody’s foot landed on the outside edge of mine. My plimsoll was hanging half off. With hindsight, I should have kicked it right off. I tried to pull it back on, but had to untie and re-tie it. I shot off after the field to finish a gallant fifth! So ended my school sporting career. Others careers of course were far more distinguished. These are my own memories, not an exhaustive record. Alf and David Bloom ran rings round their opponents on the football field. Bowyer could stop anything, so he kept goal in winter and wicket in summer. My pal Eric Smith loved what he called “A good tonk” with the bat. John Schofield could deliver a ball that turned profoundly. The Palmer brothers were like fish in the swimming pool, and Barry Bird had an impressive diving ability. At the top of the tree were the prefects. Coming from a school of three- to ten-year-olds as I did they all seemed to be grown men, with names like De Normanville, straight out of adventure stories. The prefects could punish boys by giving them “tables” to do. Each table consisted of writing out the two to twelve times tables, and three to six tables was the usual imposition. I was an amused bystander when a prefect gave L G Hallam (later a clergyman) three tables in the hall one afternoon. Hallam pulled out a narrow roll of paper on which tables were ready-written, tore off three and handed it to the prefect. We juniors didn’t have much contact with the senior boys; we mostly saw them in the bike shed in the mornings. Sometimes you had to move six or eight bikes to retrieve your own. It was best to arrive late and leave early, or arrive first and leave last! In the Third Form in my time were Richard Batten, whose dad ran the local dairy and supplied the school with milk, Derek Trowell, he of the fine soprano voice and Graham Beamish, son of a TT racer, and himself a future scrambles rider. 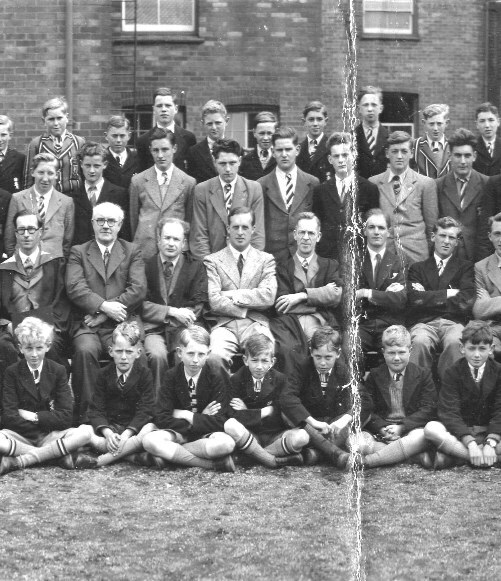 I have a panoramic photo of the boys and staff taken in 1946 when I was in Lower IV. In the front row I can see Edward (Buster) Gray, son of the famous comedian “Monsewer” Eddie Gray. Buster as all old Shorehamers know became the President of OSA. Two rows back and a few places to the left of the picture is John Bertalot, now a famous expert on choral singing. Towards the end of the row is Mike Samuelson, founder of the Samuelson Film Company. I noticed that I stood next but one to Ken Makepeace, whom I met about forty years later when I visited a company in the Midlands and found Ken was the Works Manager there. 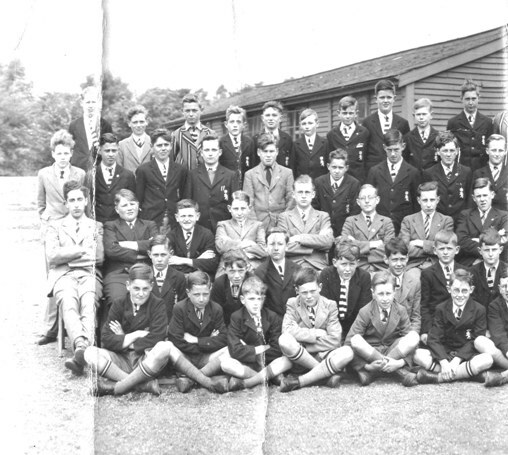 When the boarders returned from Milland, there was some friction between the two groups of boys initially. The boarders envied the dayboys their freedom to walk unescorted around the town. The dayboys felt there was some favouritism, with boarders who attended the Arts Group’s evening meetings getting preference in casting for dramatic events. 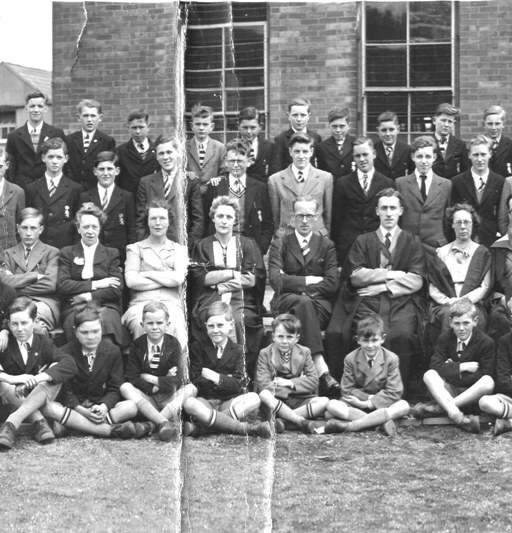 The following 1946 School photo has been divided into enlarged sections for this article to enable identification where possible. If you recognise anyone not listed please advise the West Sussex Library Service or the history team on the shorehambysea.com community web site. I remember J O C Warner, one of the Warner’s Holiday Camp family. Warner was very strong and had a chest expander that only he and one other boy, K O’Hara, could pull. O’Hara was some years younger than Warner, which made this an even greater accomplishment. An older boy picked on O’Hara once and got a nosebleed for his reward. I met O’Hara years later and was a little surprised to find him a gentle and unassuming man. In my latter years at the school I remember Michael Bull, who drew and painted so well. Bull’s handwriting was very stylish. He dotted his i’s with little circles. There was Howard-Beard who could run like a greyhound and collared the Victor Ludorum, Graham Holder who could throw a cricket ball nearly 90 yards. I once made the mistake of engaging him in a snowball fight. Not only could he score hits on me while out of range of my own missiles, but his snowballs were almost as large as footballs! Graham one broke a school window throwing – a tangerine! Radio ham G David Rudram explained to me how a wireless worked, unwittingly starting off my own career in electronics; John Tilbury, destined to be Mayor of Lewes; Peter Goodman, whose varied career included kennels proprietor, teacher and meteorologist. Stanley White was a bright and witty chap, he and I collaborated on some comic articles for the Shorehamer. If anyone ever reads them, the bits in parentheses were added by Mr. Wright! 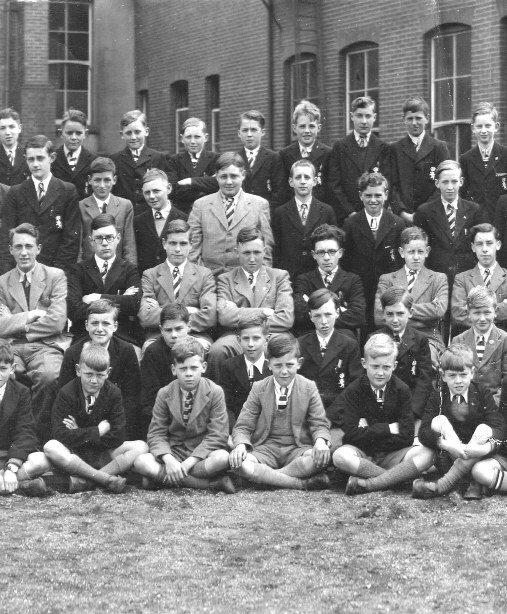 I passed my school certificate in July 1949 and went to Brighton Technical College, but had to take a gap year due to my age, so I remained at the school for another year working on my own at Science and Maths (there was no proper Sixth Form at that time) and spending a lot of time in the prefects’ common room. There I got to know L G Hallam, (he of the roll of tables!) who was having private tuition in Greek and Hebrew as preparation for a theology course. He invited me one lunchtime to go to St. Mary’s Church with him while he practised the organ. Having been in the school choir I had heard the organ played before but never watched close up. I knew the organ had pedals, but for all I knew they could have been accelerator, brake and clutch! I suppose I must have thought they had functions analogous to the pedals of a piano. So my surprise was considerable when Hallam placed the score of a Bach Fugue on the music rest and I saw it had three staves, unlike piano music with two. “How do you play that line?” I asked. “On the pedals,” he answered. I watched open-mouthed as a rapid and complicated phrase was played on the upper manual, with an echoing strain following it at a few bars’ distance on the lower manual, and then the great 16 and 32 foot pipes took up the fast melody like a round of three singers, and Hallam’s feet danced, heel and toe, across the pedalboard. The great fugue continued to wind up to a climax and then died down, perfect in every note, to a magical completeness. 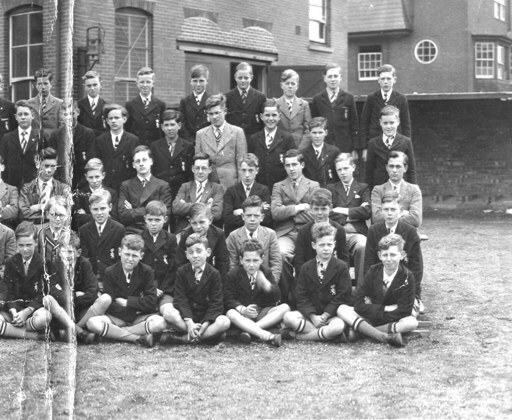 I joined the school in 1942 just as my brother left to take up law with Bowles & Stevens in Worthing for a year before he went into the Royal Navy, rising to a Petty Officer Telegraphist serving in the Med aboard HMS Talybont a destroyer patrolling the Palestine Coast preventing Jewish migrants landing thus avoiding sectarian bloodshed. He finally got to take up law, working as an international lawyer and dying last year in Australia having reared seven children. I left the school to go to Worthing High School since Shoreham had no sixth form and I needed a sixth form course to get to university. 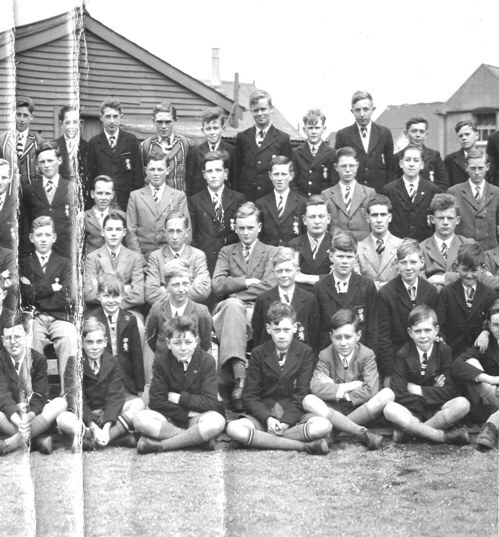 I still cherish my copy of the panoramic photo of the school, but you put names to faces – well done.